From AMC's hit series The Walking Dead comes an all-new assortment of action figures from McFarlane Toys! Series 7 delivers fans more of the television characters they love, including the Mud Walker! 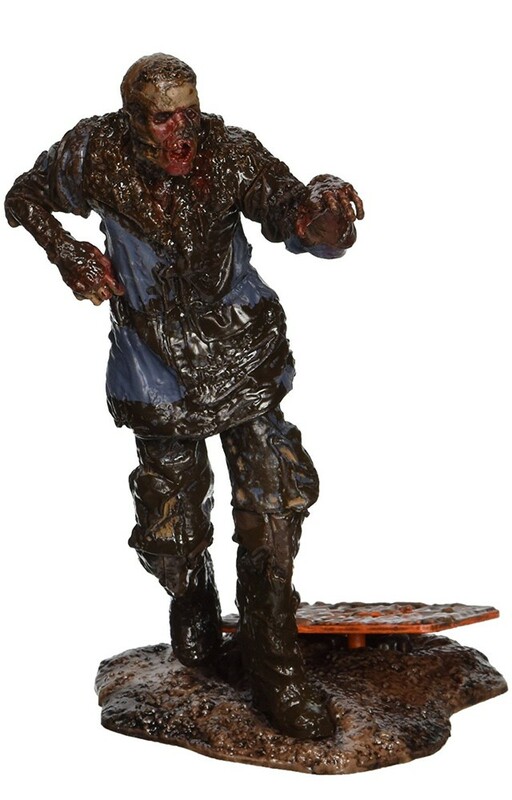 Based on its gruesome appearance in the Season 4 episode "Too Far Gone," this 5 inch action figure of the Mud Walker comes complete with decomposing body and a worm coming out of his nose! You can also split this undead figure in half and mount his upper body on his mud-covered base with flash flood sign to recreate this iconic scene! Collect them all! From AMC's hit series The Walking Dead comes an all-new assortment of action figures from McFarlane Toys! Action figure measures approximately 5 inches tall. Figure comes complete with decomposing body and a worm coming out of his nose! 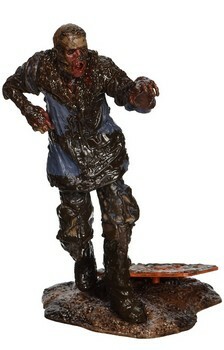 You can split this undead figure in half and mount his upper body on his mud-covered base with flash flood sign to recreate the scene in "Far Too Gone"!